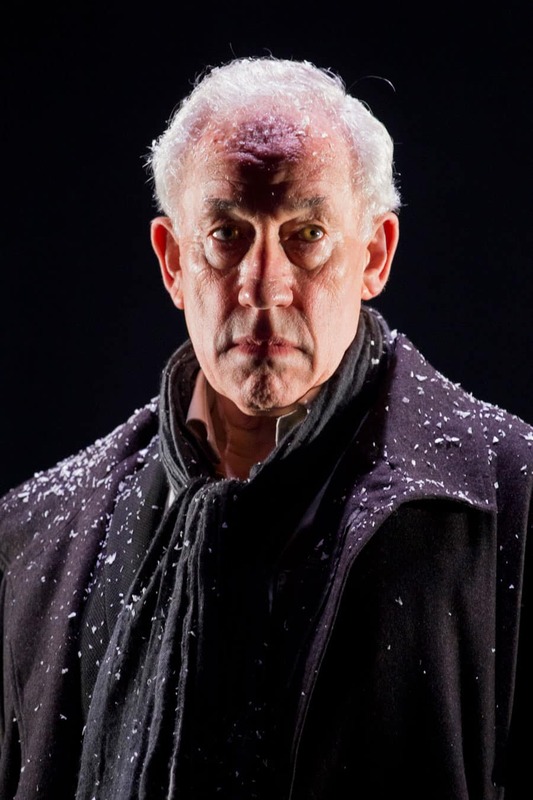 Jennifer Christie reviews Simon Callow in Charles Dicken’s A Christmas Carol at the Arts Theatre. The story of A Christmas Carol is well known. It’s been told in many different ways since Charles Dickens wrote it over one hundred and fifty years ago. 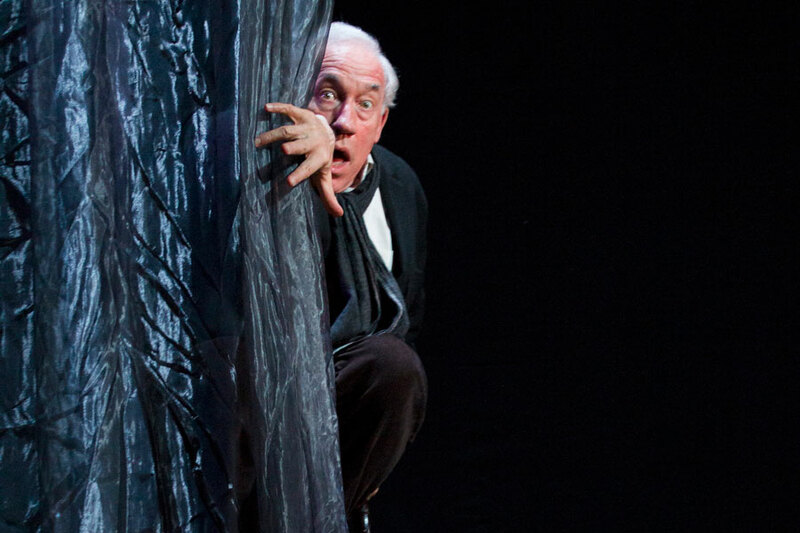 Simon Callow stars in this pared-back solo version in a bravura example of simple storytelling. Tom Cairns directed and designed this production and with just a few chairs, some curtains and little theatrical tricks he creates a setting that focuses attention on Callow and the narrative. With lighting design by Adam Povey, the simple staging is lifted to a higher artistic level. As the house lights dim, a Dickensian streetscape appears and snow begins to fall. Callow enters and for the next 80 minutes delivers the narrative and characters in splendid style. Each word is deliciously uttered and given character and meaning. Soon after this auspicious beginning the evocative soundtrack of Ben and Max Ringham joins in and adds a layer of complexity to support the narrative. The challenge is in the delivery of the sections of dialogue and the delineation between characters. Is it better to remain still and project the different characters with vocal tone and intention or should there be a change of physical attitude as well? In the party scene with several characters the hop between chairs is used to comic effect but in scenes, with just two characters the comedy is not appropriate. 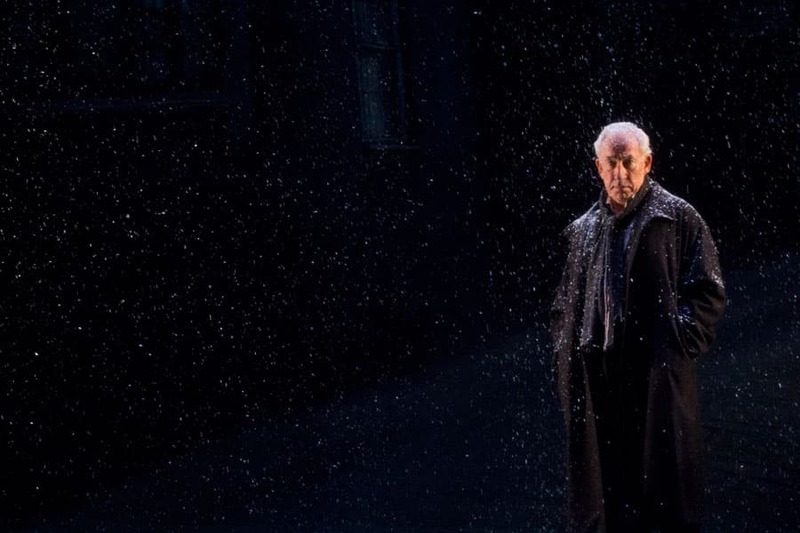 Callow is particularly moving as Cratchit grieving for Tiny Tim, endearing as the young man lost in love and rousing as the reformed character revelling in the joys of Christmas re-discovered and much more. To hear the story told in a fashion bare of bells and whistles is a simple joy. I love a musical as much as any West End Wendy but there is a gentle warmth in this production of A Christmas Carol that lovers of literature and language can embrace.